Advanced whole genome sequencing and computational approaches have uncovered staggeringly complex alterations in cancer genomes such as chromosome shattering, trains of coordinated translocations, and clustered mutations. Despite the recognition that these variations can enable neoplastic growth and facilitate clonal evolution, the underlying causes are often unknown. Our long-term goals are to understand the pathways leading to clustered mutation and chromosome rearrangements and to determine how engagement of these pathways impacts cancer progression, heterogeneity, and response to therapy. 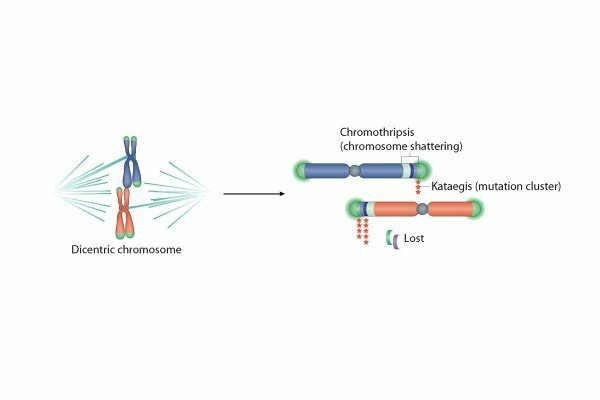 We focus much of our effort on telomere crisis, which can act as a major source of the instability observed in cancer genomes. To achieve our research goals we are taking a multi-disciplinary approach that includes live-cell imaging, genetic, and genomics-oriented methodologies. Molecular biologist John Maciejowski studies the causes of complex chromosome rearrangements and the patterns of hypermutation that shape cancer genomes.